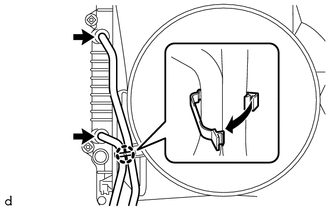 (b) Disengage the 3 claws and remove the radiator side deflector LH. 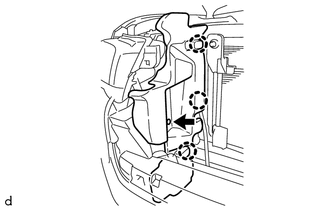 (b) Disengage the 3 claws and remove the radiator side deflector RH. 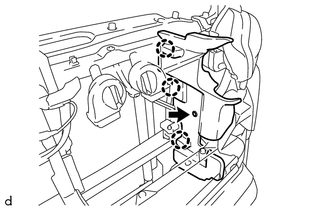 (a) Slide the 2 hose clips and remove the No. 1 radiator hose from the water outlet and radiator assembly. (a) Slide the hose clip and disconnect the No. 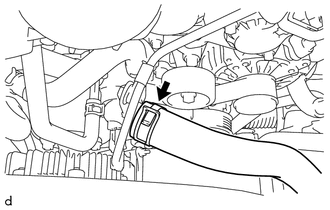 2 radiator hose from the water inlet with thermostat sub-assembly. (b) Slide the hose clip and remove the No. 2 radiator hose from the radiator assembly. 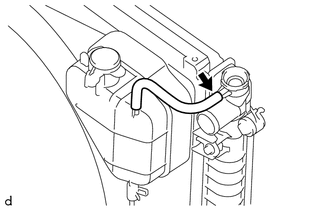 (a) Disconnect the radiator reserve tank hose from the radiator assembly. 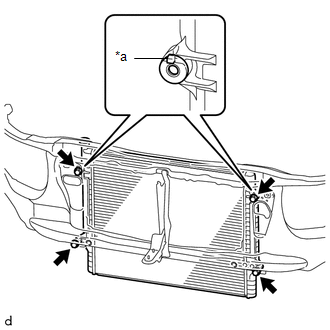 (1) Disengage the clamp to separate the 2 transmission oil cooler hoses from the fan shroud. 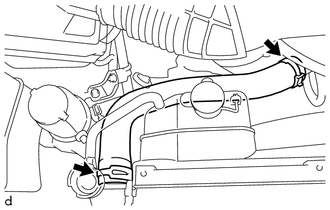 (2) Slide the 2 hose clips and disconnect the 2 transmission oil cooler hoses from the radiator assembly. 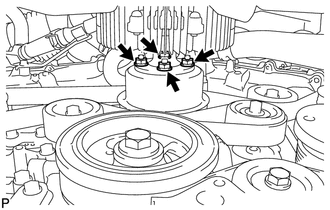 (a) Loosen the 4 nuts holding the fan with fluid coupling. 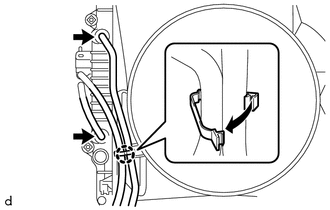 (b) Remove the fan and generator V belt (See page ). 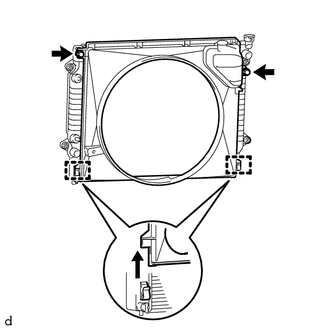 (c) Remove the 2 bolts holding the fan shroud. (d) Remove the 4 nuts of the fan with fluid coupling, and then remove the fan shroud together with the fan with fluid coupling. (e) Remove the fan pulley from the engine water pump assembly. 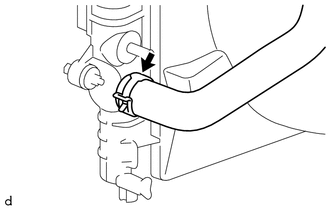 (b) Disengage the 2 hooks and remove the radiator assembly from the radiator support sub-assembly.